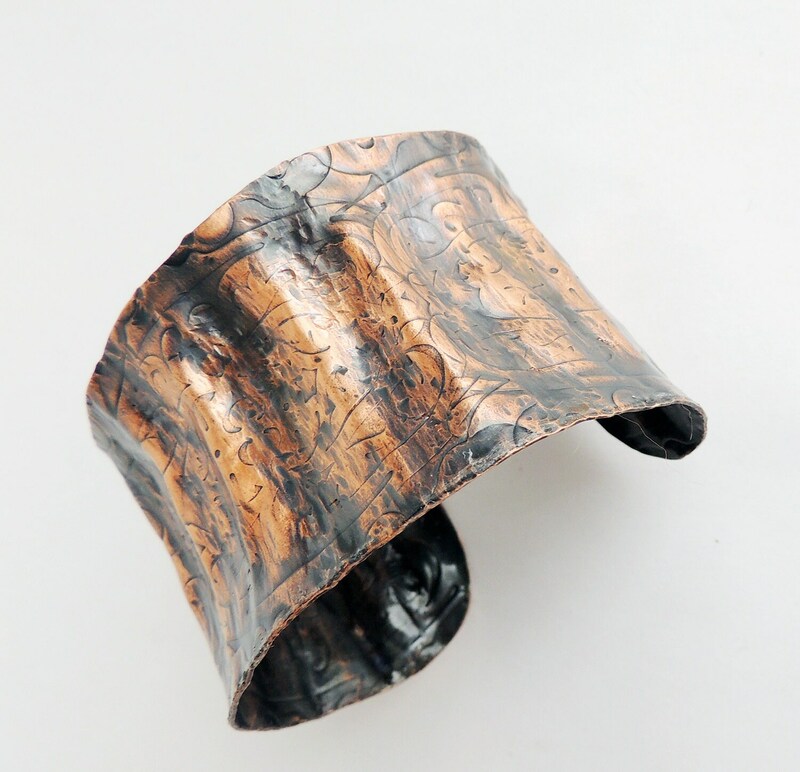 This is a bracelet that I created from copper sheeting. 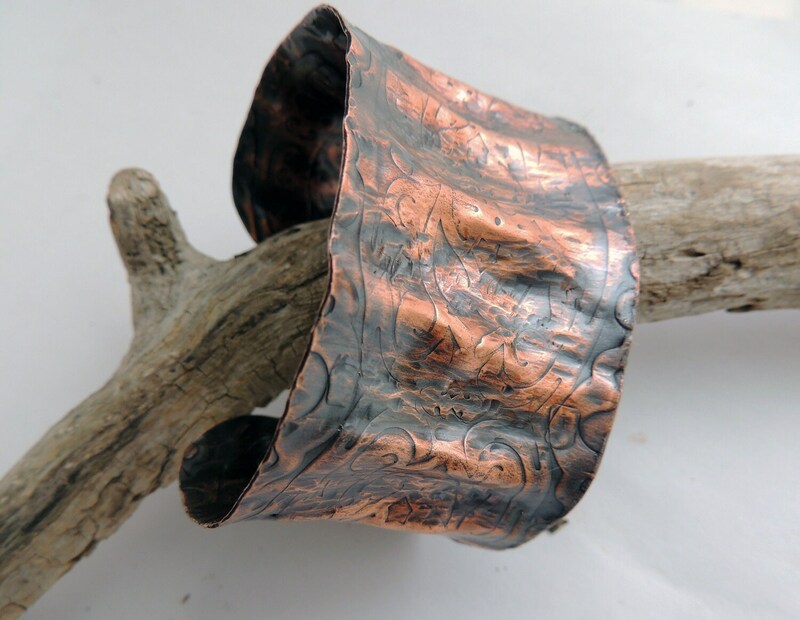 I began by texturizing the copper. 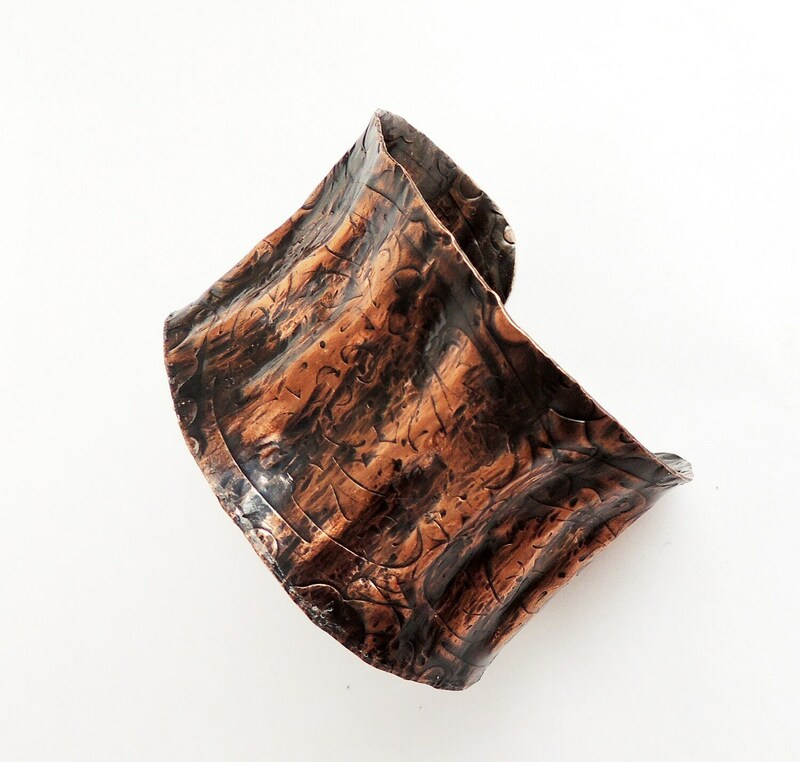 It has been hammered into an anticlastic style of cuff. 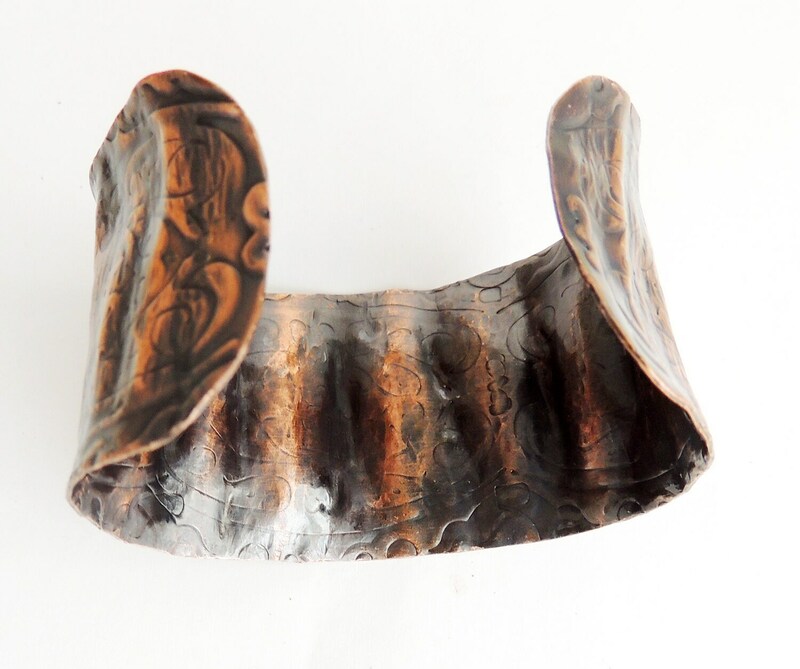 I gave it an oxidized patina, polished the cuff and then added a jewelry lacquer to protect the patina. It measures 1 1/2 inches wide x 6 inches long and will adjust.